We've seen very little about Warface, the free to play shooter coming from Crytek on the PC. To my surprise the game was already playable on the show floor of PAX 2012, despite only just being announced for Western territories. The booth boasted five PCs to play the game's co-op mode so I dove right in. The map on display was a river boat survival level, it reminded me quite a bit of Alliance of Valiant Arms, another free to play shooter. Of course, one thing stood out from the rather ugly AVA - the game was friggin gorgeous. There wasn't much guidance on exactly what to do, so the crew of five stayed huddled on the boat picking off enemies in buildings, on bridges, and on land. The boat continued down the river hitting checkpoints along the way as we continued to survive as best we could. Players had different roles and could heal and provide ammo to teammates when needed - and it seemed to be needed quite often. Ammo ran out rapidly and your character took damage with ease. It was unclear whether there was a leveling mechanic at play or not, but hopefully you can upgrade your soldier. The only thing I disliked about my short time with the demo were the controls. The mouse didn't feel quite smooth, aiming felt as if I was moving through sludge. It was difficult to stick to a target because of this. I'm not sure if this was just the mouse I was using, or if the actual control scheme had some issues. 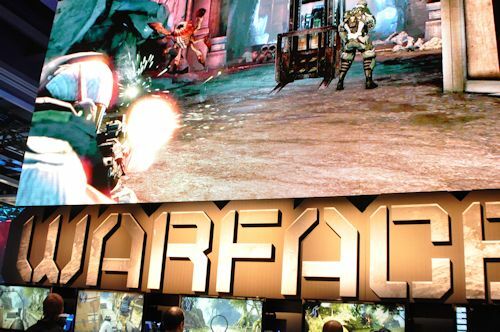 Warface should be out later this year with five player online co-op play on the PC. Page created in 0.2628 seconds.